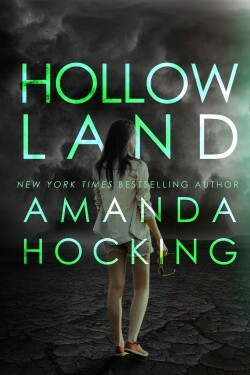 The Hollows Covers and Sale!! So in all the excitement about the big Swear announcement (the final book in the My Blood Approves series is coming November 9th and is available for preorder now, go: here for more info and links to order), I didn’t want to miss out on telling you something else exciting. A few months ago, I had the covers of the Hollows redone by Mae I Design. They are beautiful and wonderful and exactly what I was hoping for, and they even look fantastic in paperback! (They are both available in paperback now too!) And even better news, both books in the Hollows are currently on sale in the spirit of Halloween! For those of you asking, will there be another book in the Hollows: You can click here for the long answer. But the short answers is this: Unlike the My Blood Approves series – which I always envisioned as a five book series with an overreaching arc that spanned all five books – Hollowland was originally intended to be a standalone novel, but I decided to write a sequel to it. I wrote the ending to Hollowmen in such a way that I gave the characters enough of a HEA that another book isn’t necessary, but I’m not entirely shutting the door on the possibility of writing another sequel. So there may be more, but I feel like the story is wrapped up enough that there doesn’t have to be.